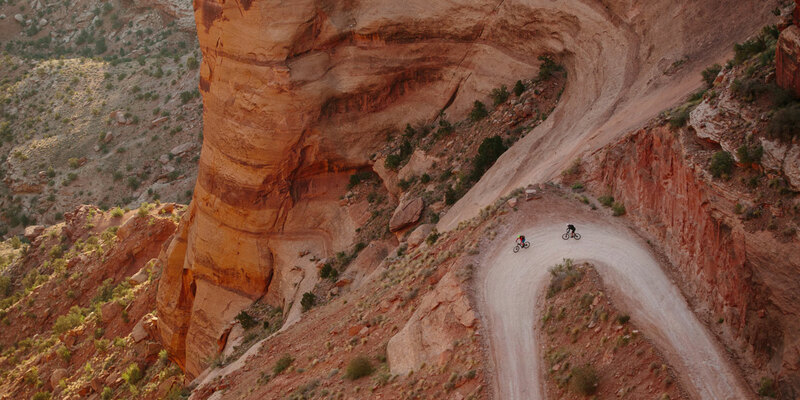 Most honeymooners head to a picturesque beach–but for some adventurers, paradise is a bike seat and the red rock desert of Moab. 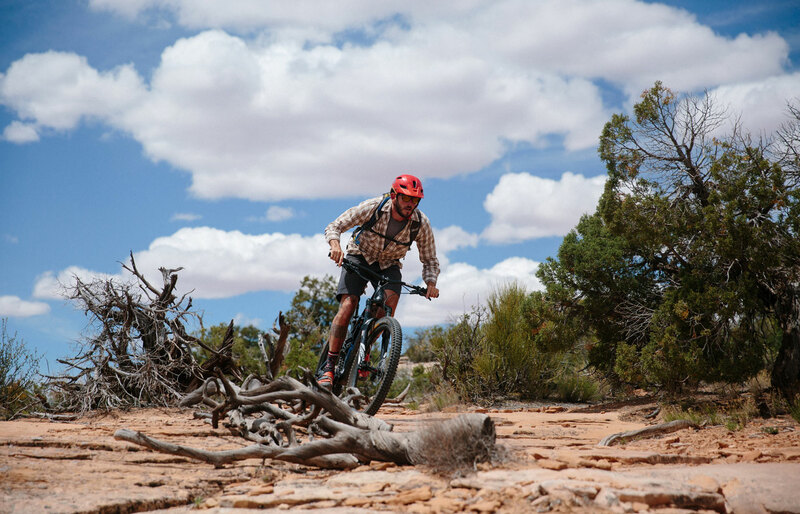 Downtown Moab may not look like much when you first roll into town—just the usual motels, restaurants, information centers and gear shops—but for adventure seekers, this place is paradise. As our crew cruised into town on Highway 191, past the line of cars waiting to enter Arches National Park and over the Virgin River, we could feel the anticipation in the air. We were so excited for the days of riding ahead. 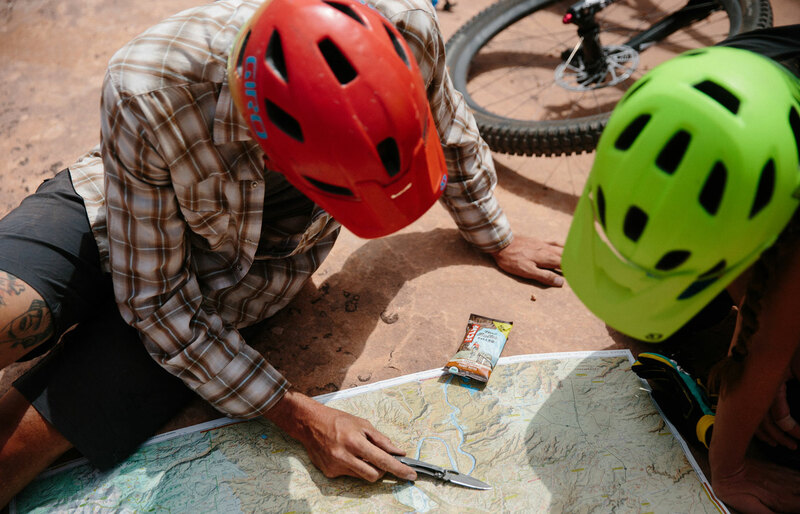 It's safe to say that the biggest smiles came from Clif Bar athlete Ben Hoffman and his new wife, Kelsey, who made our expedition one of the first legs of their 12-week honeymoon road trip across the West. (Coolest. Honeymoon. Ever.) After dinner, they gave the crew a quick tour of their Airstream—of which we were all clearly jealous—and we called it an early night to prepare for the adventure ahead. The next morning, we grabbed breakfast at the Jailhouse Cafe (if you ever find yourself in Moab during breakfast hours—hands down the best bacon you’ll ever eat). With bellies full and stoke high, we set off for Horsethief Campground and settled in. The next few days were a Moab dream come true. 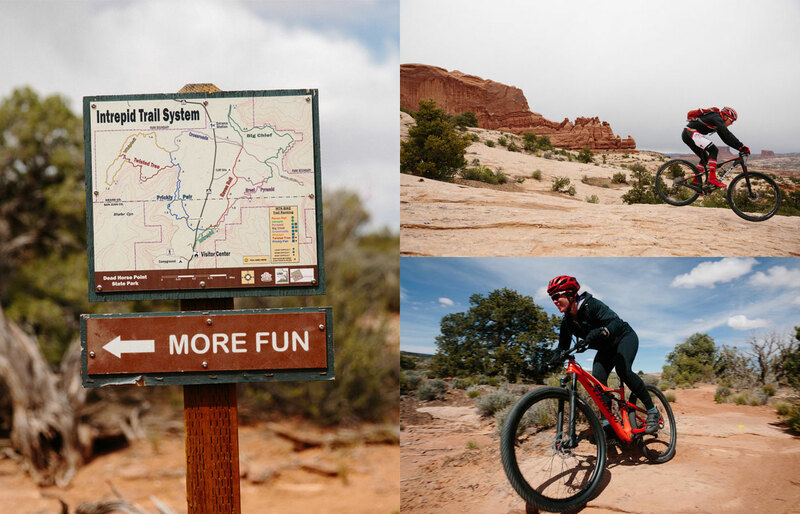 We rode winding singletrack and slickrock through a blur of reds, browns, and greens. We gathered around maps, getting guidance from our amazing team at Western Spirit Cycling. (Thank you, Tim and Zoey!) We fueled up with Nut Butter Filled bars, dutch oven lasagna, homemade tortilla chips and guac, and fresh baked pineapple turnover cake. While Ben and Kelsey are sure to have no shortage of incredible adventures on the rest of their honeymoon, I doubt they’ll ever be as well fed as they were on this trip! It’s never easy getting up before the sun, but mornings in Moab prove why the sunrise is always worth the extra effort—and we made that effort, every single day. On one day, a spring storm rolled through the desert, dusting the La Sal Mountains with a fresh coat of snow and peppering the skies with a constantly shifting array of clouds. The early morning light filtering through the remnants of storm clouds that morning was stop-you-in-your-tracks stunning. 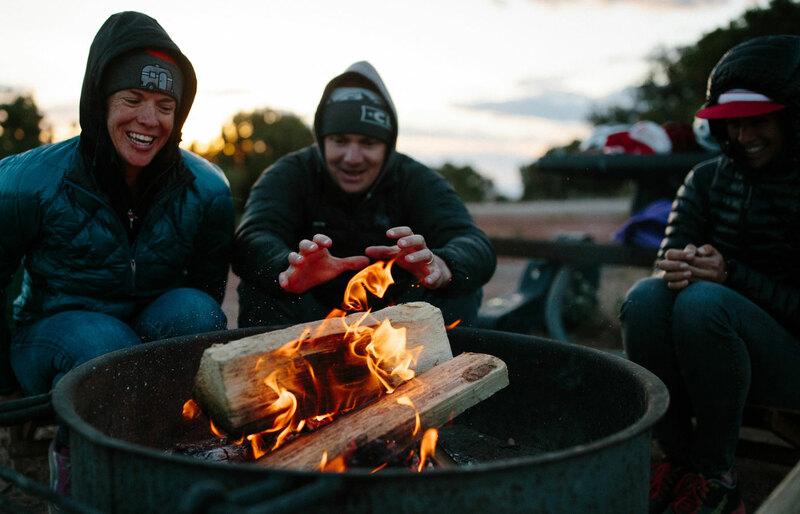 Starting each day with sunrise—and a cup or three of coffee—was the perfect way to get a jump on the day and make our time in Moab really count. Your average honeymoon usually involves a picturesque beach and a plush hotel room—and there’s certainly nothing wrong with that! 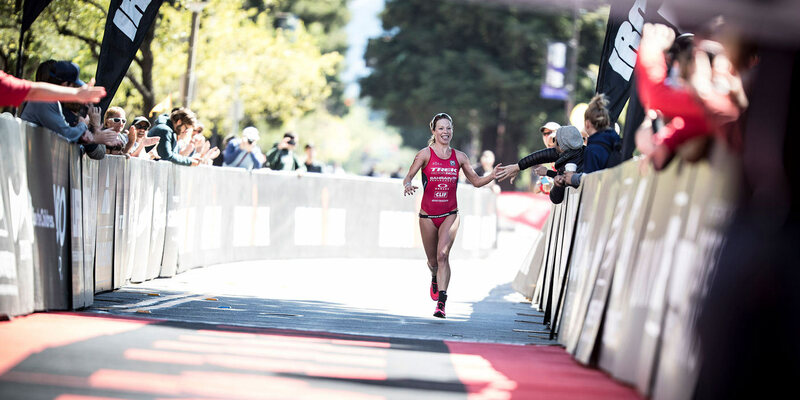 But for some of us, mobility is our happy place. 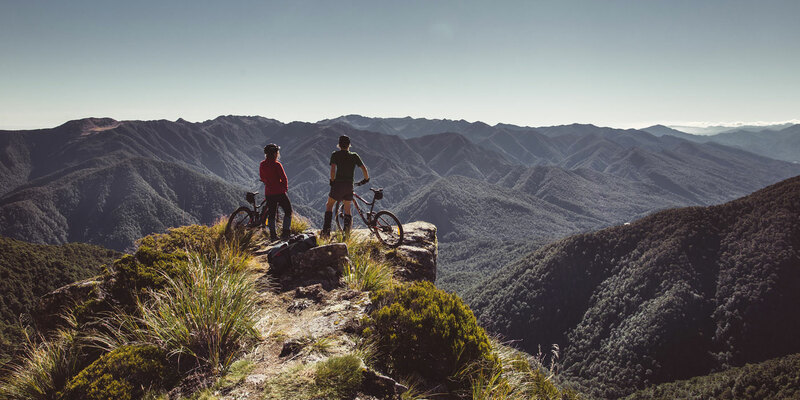 A day spent shredding hard, followed by good company and a beer around the campfire...that’s Ben and Kelsey's idea of paradise. And ours, too.